If you have a basic command of French, you might recognize the first two words in the preceding sentence, but the meaning – “I am happy” – may well elude you. Indeed, what you have just read is a typical Nouchi expression that you are most likely to come across in the streets of Abidjan, Côte d’Ivoire. « NOU » means ‘nose’ in malinké [language] while « CHI » means (body) hair. In a word, it comes to ‘nose hair’ hence ‘moustache’ to signify the bad guy, the one everybody wanted to be like. 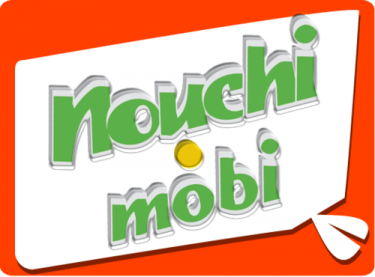 Nouchi started out as street slang used by disenfranchised youths in the capital, Abidjan, but has since gained prominence and even given rise to a writing system elaborated by Ivorian linguist Blaise Mouchi Ahua. Although statistics as to the number of speakers are difficult to establish, Pr. Jérémie Kouadio's research led to the conclusion that Nouchi could be the first language of young people from 10 to 30 years old. […] Nouchi.Mobi fonctionne donc tout simplement comme un dictionnaire ou les mots, ou expressions, sont ajoutés par les membres. C'est une application sociale du concept de « crowdsourcing » ou l'intelligence collective est mise a profit d'un but, dans ce cas, le recensement du langage Nouchi. […] Nouchi.mobi thus works quite simply like a dictionary whose words or idioms are added by the members. It is a social application based on the concept of ‘crowdsourcing’ where collective intelligence is harnessed towards a goal, in this case the documentation of the nouchi language. Thanks to Nouchi.mobi, words like dôgôfari (girlfriend) or yaako (sorry) have made an appearance online. So far, each dictionary item contains the word in Nouchi, its translation into standard French as well as an example of its use in context. Users can use the web-based application or their Facebook profile to contribute words and definitions. How much support it will gather is anyone’s guess but this initiative was stirred by social entrepreneur Abou Koné (@abookone), a Ivorian software developer currently living in the United States, with the help of Benin-based designer Giovanni de Souza. An iPhone and Android version are in the pipeline, as the site’s objective is to become a mobile platform for the promotion and documentation of Nouchi. In this regard, nouchi.mobi is not unlike the Kenyan website sheng.co.ke which is turning out to be a major reference point for the Sheng–speaking community. This is a manifestation of Côte d’Ivoire 2.0, bringing to the fore using digital media tools, what was long considered a mere ‘slang’ associated with gangsters and brandishing it as a flourishing urban culture. Funny…..Scary….. Exacting…….All’s well…..That Ends Well…!!!!! Go Nouchi. Oh I spelled it wrong….??? Then….. Does that mean, i can keep my Vhou?? & get rid of all the(boo’s) so to speak!!! Boo’s= Ghastly discontent!!! As well as Triveeille unhappiness!!! I will also gain back the aboriginal chaparonage of: Thaiash(chii)obello!!! Thank You…. May Peace Reign Forever in The Land Of ” Nouchi” & May your Land Of Nouchi be called- ” happily Married” Isn’t that …. The Pot calling the kettle Black?? Lol… A little Sarcasm, never hurt anyone?? That’s what you Think!!! And May all The Tears be Whipped from every eye? ?